Moldova - Investment Due Diligence: Completed due diligence assessment of three food processing companies for acquisition and eventual merger. Prepared technical assessment of plants and processing infrastructure, evaluated current management, and prepared overview of expanded market potential. Developed plan for merger and restructuring of three plants following acquisition, including disposal of surplus assets, modernization of processing facilities, and development and expansion of export sales and distribution. Poland - Company Acquisition and Restructuring: Led 35 member multidisciplinary due diligence team for investment in large FMCG company, including management appraisal, technical and engineering assessments, financial analysis, market assessment, environmental assessment, raw material analysis (fruit and vegetable production), and legal review. Then retained as advisors to the Supervisory Board and management for modernization of the company to prepare it for sale to strategic investors. 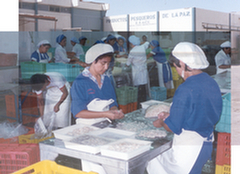 Significant achievements included: reduced payroll from 6,000+ to 1,500; divested 6 of 10 plants and consolidated production into 4 remaining plants while increasing production; recruited modern management team; restructured sales and distribution; developed trade marketing group; managed overall cost reduction drive (including planning capital investment); development of company-wide MIS system (Oracle); established professional HR capacity; set-up R&D department; established and directed internal executive development program. Re-established successful Russian sales following collapse of market in 1998. 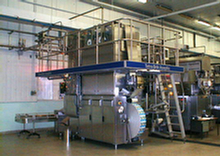 USA - Merger Evaluation: Participated in evaluating the merger of the pet food businesses of three cooperatives, including: inspection and evaluation of five manufacturing facilities, market assessment, assessment of current sales and marketing strategies, customer analysis, and development of business plan. Czech Republic - Business Assessment and Strategic Planning: Retained by principal shareholders to assess the operations, management and strategic plans of an ice cream manufacturer and identify opportunities for restructuring and improvements. Assignment included (i) assessing the competitive and strategic position of the company; (ii) developing a medium term strategic plan for the company, including identifying exit strategies for the investors; and (iii) improving the analytic tools available to assist the company and its shareholders in developing the strategic plan, monitoring the performance of the company and further developing its financial projections. Poland, Hungary, Czech Republic, Slovakia - Market Development: Retained by major US FMCG company to assess and quantify local market opportunities, establish market entry criteria, and develop country specific market entry strategies, including identifying and qualifying local wholesalers and distributors, and evaluating potential joint venture partners for local manufacturing. Chile - Opportunity Assessment: Evaluated feasibility of development of fruit production and processing operations in Chile. Identified potential local partners, evaluated raw material supply conditions and growers, evaluated existing freezing and juice concentrating facilities. Poland - Acquisition and Turnaround: Feasibility study of financing proposal for acquisition of a meat processing company. Then provided interim General Manager and team of analysts to develop and implement a turnaround plan and restructure the company for sale to new investors. USA - Acquisition Due Diligence: Advised on the acquisition of a major US regional dairy company, in a transaction valued at $75 million; conducted market and business analyses, carried out operational and engineering reviews of seven processing facilities, outlined a business development plan, assisted in negotiations, and provided industry expertise in the review of contracts. Hungary - Acquisition and Business Operations Review: Provided technical and financial assessment of new investment for lenders, then provided ongoing advice and assistance to the foreign owners and senior management of a fruit and vegetable processing company during the first three years following the acquisition. Regular advisory responsibilities covered business expansion and market development; conducting annual business reviews with senior company management, evaluating financial and operating performance, annual business plan review, and a general review of relevant local and international markets. Poland - Agricultural Inputs Distribution: Established first large scale private farm input distribution business; set up national wholesale function for major farm input supply companies. Mexico - Market Assessment: Completed an assessment of markets for dairy cattle genetics and pasture grass seed in Mexico for a foreign supplier. 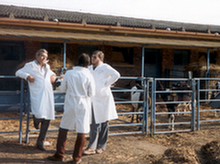 Evaluated development of the dairy industry; assessed competitive environment for local and foreign marketers of dairy genetics and seed; identified potential local strategic partners; established links with local research and extension organizations; evaluated financing options; identified and evaluated local candidates for country manager and sales representative. China - Market Development Strategy: Carried out an assessment of the long-term competitiveness of China as a feed grain exporter and assisted in the development of a market development strategy for the Chinese feed grain and livestock industries. Analysis included assessment of Chinese feed grain production, assessment of livestock and poultry industries, and study of meat and egg consumption trends. Accurately predicted return of China to market as a net grain importer. 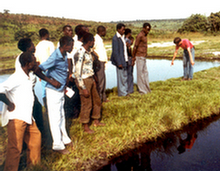 Other: Conducted numerous feasibility studies and due diligence assessments for a variety of different projects and investments.